After 30 days, Audible is ₹199/mo. Cancel anytime. 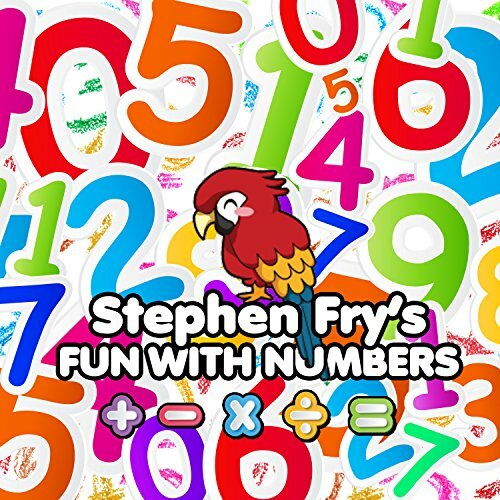 What better way for your children to get to grips with numbers than with the brilliant Stephen Fry! Featuring Chris Emmett and Mark Angus, this vocal performance will have your child effortlessly learning their tables and laughing their heads off at the same time. Stephen Fry is a comedian, actor, writer, and presenter. His acting roles include a Golden Globe Award-nominated lead performance in the film Wilde, Melchett in Blackadder, a recurring role on the crime series Bones, and Gordon Deitrich in V for Vendetta, among others. He has also written and presented numerous documentaries and was also the longtime host of the BBC television series QI.